Brett Burney, Ben Schorr, Daniel Siegel, David Ries, Dennis Kennedy, and Ashley Alfirevic talk about how lawyers can use computer technology to help improve workflow in their firms. Bob Ambrogi and Nerino Petro discuss what the most useful add-ins for Microsoft Word and Outlook are for the areas of security, productivity, and general purpose. Judge Scott Schlegel talks about the Smart On Crime Initiative and Swift & Certain Probation Program. Darla Jackson and Amy Krieg talk about how to declutter your daily workflow in order to stay efficient. ABA TECHSHOW 2019: Is Your Web Presence Customer Friendly? Julie Tolek and Gyi Tsakalakis talk about how lawyers can make their websites more client-friendly. 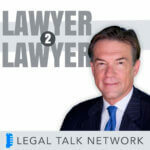 Stanley Louissaint and Jason McNew talk about the many options available for firewalls in today’s law firm. ABA TECHSHOW 2019: Trending: GDPR and Data Privacy Laws? Steven Puiszis and Judy Selby talk about GDPR and its trending laws giving consumers more control of privacy and data usage. Kimberly Bennett and Conor Malloy talk about how the use of automation tools can help you be more efficient. At ABA TECHSHOW in Chicago, Bob Ambrogi hosts a startup competition that showcases 15 finalists facing off to give a 3-minute pitch about their legal startup. Charity Anastasio and Annette Sanders talk about the best tools for collaboration. 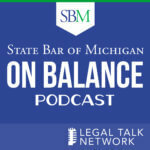 John Simek and Brett Burney talk about the things lawyers should know about collecting and preserving discovery from mobile devices. Kenton Brice and Russ Cochran talk about the laws and requirements for flying a drone in the US. Andrew Gay talks about Clio’s Launch//Code — a contest for tech developers with a $100k prize. On The Road host, Laurence Colletti, highlights the final three teams, Contract App, Femme LeGAL, and Team Classify, at this year's Global Legal Hackathon in New York City. Team Granite Apple talks about their product idea, City Alert – an app that alerts users to violent crimes happening in their vicinity and gives them suggestions for access to legal professionals. Sa’ad Ahmed and Andrew Kostyuk talk about Tiny Toronto, a company that builds small homes in backyards to help make housing more affordable in high-cost areas. Shivam Satyarthi and Bliss Hu talk about their product, Classify – a legal application that tracks users’ purchase histories and gives cash back on items eligible for a settlement from class action lawsuits. Glynna Christian and Catherine Krow discuss their roles as GROWL mentors and talk about the initiative’s worldwide involvement in this year’s GLH. The team members of Femme LeGAL talk about their project and how they are working to create access to legal education in mobile platforms through gamification of legal information. Brian Tang and Cori Goudchaux talk about why they are involved in GLH and how teams can continue the momentum created through the event. Chris Roberts reaches out from Melbourne, Australia and offers his thoughts on the hackathon’s development. Inbal Baumer talks about encouraging women to take more risks in the startup world, especially in legal technology. Raz Tepper and Eran Yaniv, co-heads of FBC's Hi-Tech Department, discuss what they hope GLH will bring to the Israeli legal market and their desire to see lawyers embrace technology. Dov Greenbaum and Aviv Gaon talk about legal technology’s acceptance level in Israel’s education system. Jonathan Cape, Peter Backx, Johannes Klostermann, and Magda Szmidt discuss the particular challenges their locations are focusing on for this year’s Hackathon. 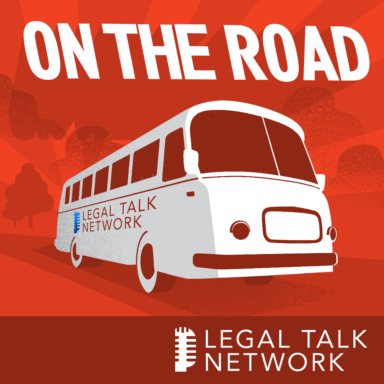 Heather McAuliffe, Anna McGrane, and Clare Godson talk about GROWL and what it means to women in the legal industry. Clara Radicetti and Paula Figueiredo from Brazil talk about their GLH and the mission of bringing interdisciplinary minds together to solve the most pressing legal problems today. Peter Lee, David Terrar, and Robert Millard talk about their firms, how they came about in London, and why they are involved in the hackathon. Kevin Mulcahy, Amy Lauren, Dean Sonderegger, and David Fisher talk about what is happening at this years GLH in New York City. Ralph Baxter talks about his career as a legal innovator. Mark Yacano and Hari Osofsky talk about their un-panel, “How will technology impact the makeup of law firms,” and discuss how law students should train for the new legal marketplace. Bob Carlson discusses many of the issues surrounding the immigration crisis and the effect the government shutdown has had on immigration courts. Bill Burnett discusses how lawyers can improve their practices and solve problems with design-thinking — a methodology for innovation, strategy, and reinvention. Mathew Shurka, Alphonso David, and Jocelyn Samuels discuss the practice of conversion therapy and talk about their advocacy efforts and dedication to raising awareness about this issue.